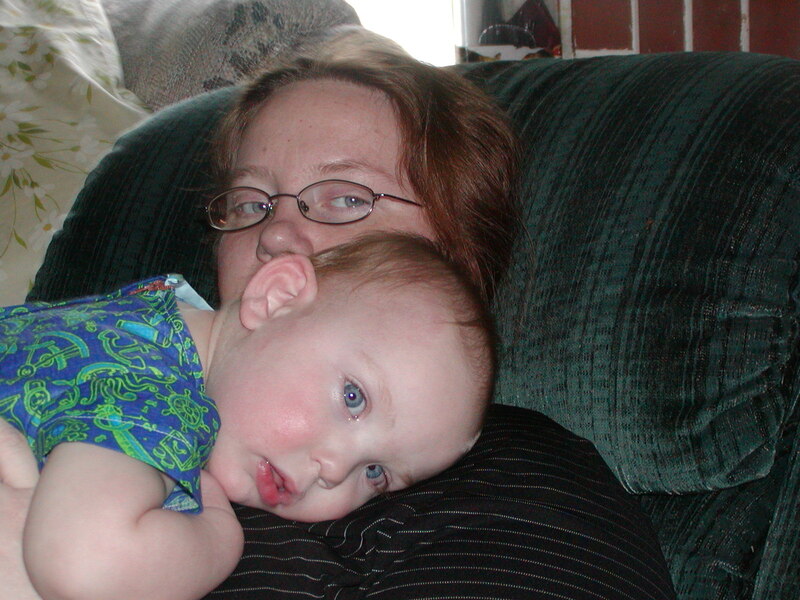 Tonight I sat down on the recliner and waited for my son to crawl into my lap. Our favorite time of the day = Snuggle time. At first I tried reading to him, but I could tell his medicine was starting to take affect – he takes medicine to help with insomnia, best thing in the world as he has been sleeping through the night for the first time ever!!! I lay the book down and moved him just a smidgen. 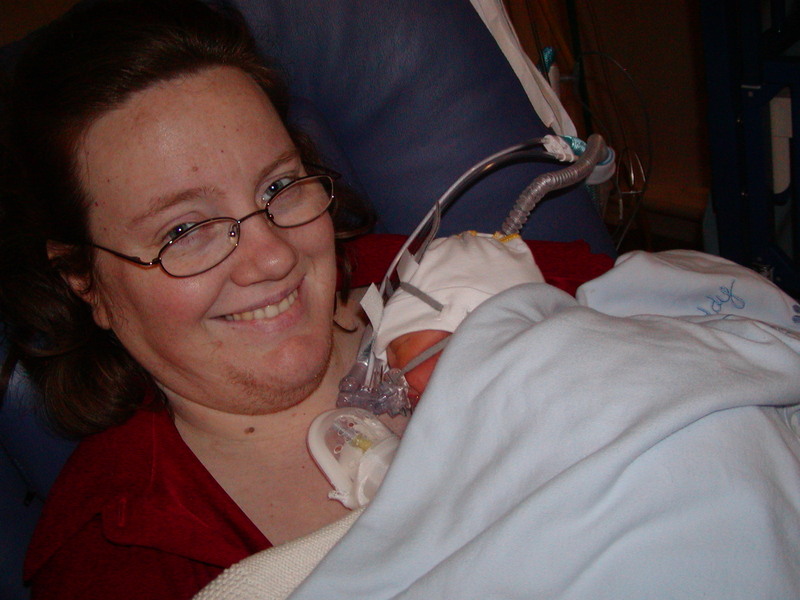 Soon his breathing became regular and I scooted myself in preperation to take him to bed. “No Mommy, I’m not done snugglin’ I want five more minutes.” Awwww, how can you deny that. I lay back and started to think about the first time I got to snuggle him. He was born emergency c-section five weeks early. He struggled to breath and the doctor decided to life flight him two hours away to St. Louis Children’s Hospital. Before he left I was able to rub his soft dewy head, but that was it. I cried as they took my son away from me. The joy of holding and snuggling for the first time outshone the previous fear fraught moments the past three days. JOY. UNADULTERATED JOY!!!! Just look at that grin. For the first six months of his life he pretty much hung out in that same spot. He needed that constant contact with me. He would only sleep in 30 minute increments away from me. With time he would sleep a couple hours on his own, but ONLY after snuggle time with mommy. Until the age of three he had an incredibly short vocabulary – but when I said “Okay, time for bed.” He would reach up his arms and say “Snuggle, snuggle.” (More like “snugo, snugo” but you get the drift.) Each time he lay on my chest peace and contentment seeped into the depths of my soul. With the birth of our daughter I made sure that each night we still had time to snuggle. The last few weeks as he has struggled with emotional regulation, which is very common with kids on the spectrum and sensory processing disintegration, it has been even more integral that we continue this sweet nightly routine. 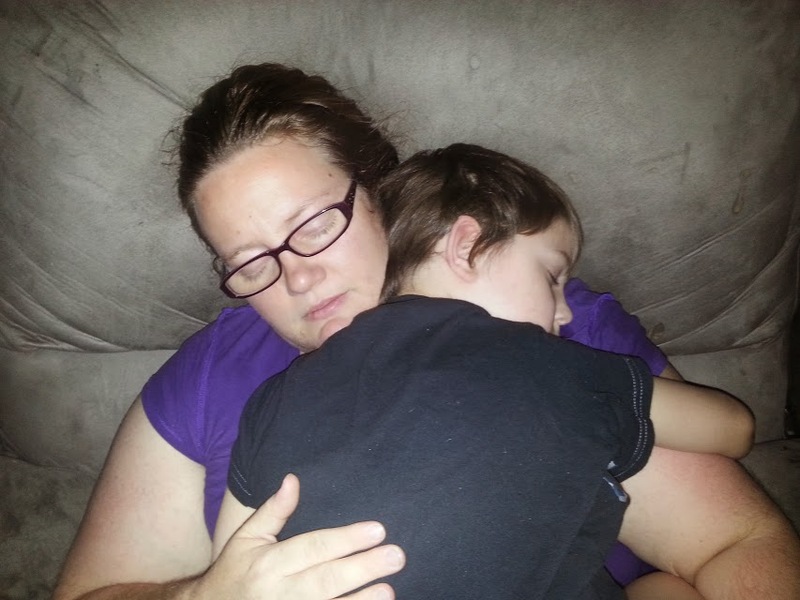 He has grown, but so far he hasn’t outgrown snuggling mommy.